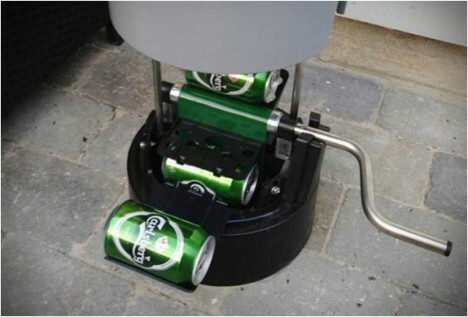 This low-tech, beer-stashing solution uses the Earth’s naturally colder temperature to keep up to 24 cans of beer at ready-to-drink temperatures year round, all without needing an external energy source. Far from being a futuristic idea, this eCool design owes a debt to a long history of storing beers in below-grade cellars that are naturally cooler yet don’t freeze, keeping your drinks in a reasonable temperature range during any season. 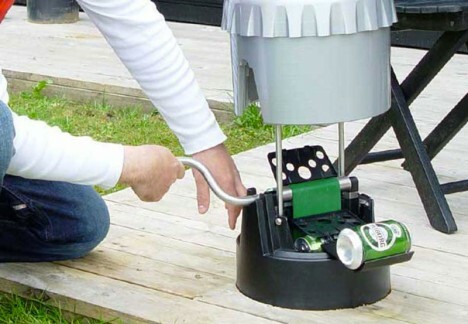 Once you lift the lid, a simple manual hand crank brings your next beer can up to the surface and deposits it handily on a little side flap. Being fully-mechanical with no electricity for any part of the equation makes it cheaper, easier, more versatile and robust. 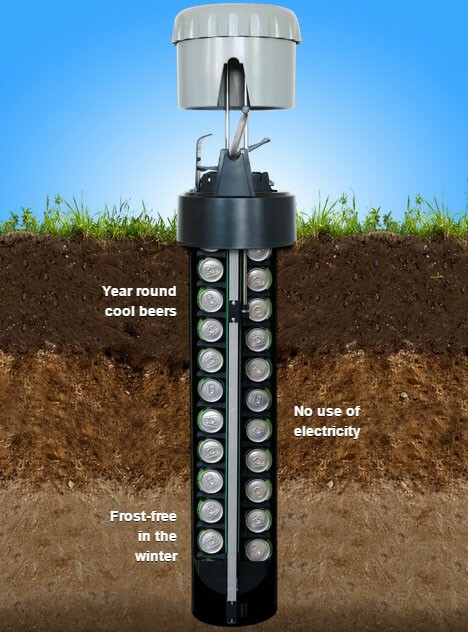 Digging the three-foot hole could be most easily done with a garden drill, though the creators of eCool suggest you can also just use a shovel and get your hands a bit dirty – after all, the beer will taste even better after a bit of hard work.